Jewelry by gallery owner Karrie Sellke and paintings by Summer Lynch are some of the inaugural offerings at Studio Sellke in Gem Village. 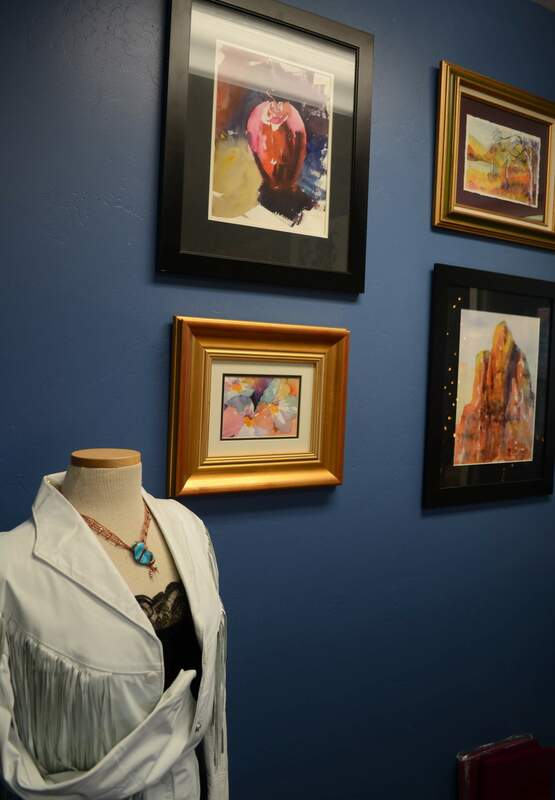 Jeweler and art lover Karrie Sellke has opened a new art gallery in Gem Village. 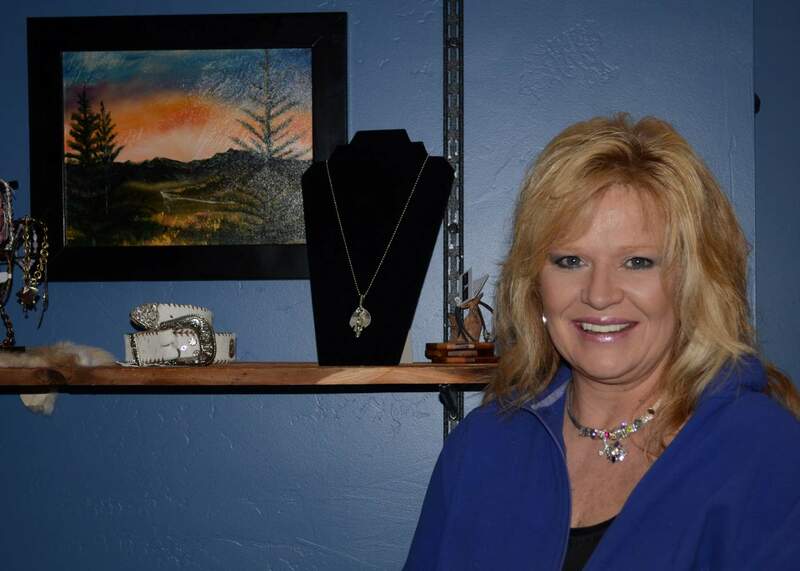 On Friday, Karrie Sellke realized a lifelong ambition – owning an art gallery. Studio Sellke in Gem Village represents a growing number of photographers, painters, metalworkers and jewelers. Originally from Denver, Sellke has spent most of her life in the Durango area, but it wasn’t until this summer that she decided it finally was time to act on her dream. She says her friends laughed when she made the sudden announcement in June. Not to be deterred, Sellke worked tirelessly in the workshop next to her family’s Aqua-Drops business to open by Black Friday. Sellke found many of her artists through the Pine River Valley Bank Community Artists program, such as painter Kelly Black. Others, she attracted through an announcement on Craigslist. Her ultimate goal, she says, is to represent and support as many artists as she can until there is not a single inch of space left. “My favorite part was when the artists brought me their work,” Sellke said. “I get to be in the midst of it all day long. It’s really good for my spirit. It makes it soar,” she said. A jeweler by trade, Sellke also shows her own work in the gallery – including one-of-a-kind bracelets and necklaces crafted from reclaimed silver wear. Her stable of artists includes mixed-media painter Summer Lynch, photographer (and firefighter) Jake Niece and blacksmith Jerry Rodri. Niece is currently showing “Fire and Ice,” a collection of photographs from the West Fork Complex Fire and Telluride winter scenes. “I think I can really help get some of these folks’ work out there,” Sellke said. Studio Sellke’s collection is eclectic, featuring a unique mix of crafts, mediums and subject matters. Visitors will find handmade knives, western memorabilia and glasswork in her small, yet thoughtfully displayed gallery. If nothing else, you’ll find a new gallery owner excited and welcome to the challenge and adventure. Sellke is actively seeking new artists and plans to add work as the gallery grows. Studio Sellke is open Monday through Friday and by appointment on weekends. Studio Sellke is located at 39965 U.S. Highway 160 in Gem Village. For more information, email studiosellke@gmail.com or call 509-0288.